Leiden is a magical place, filled with history reaching back well into medieval times. It played an essential role in the war against the Spanish. From May until October 1574, the city was besieged by the Spanish. By cutting the dikes, the geuzen were able to relieve the city and on the 3rd of October, the siege was broken. Nowadays, this feat is still celebrated among the locals, among which I count myself. 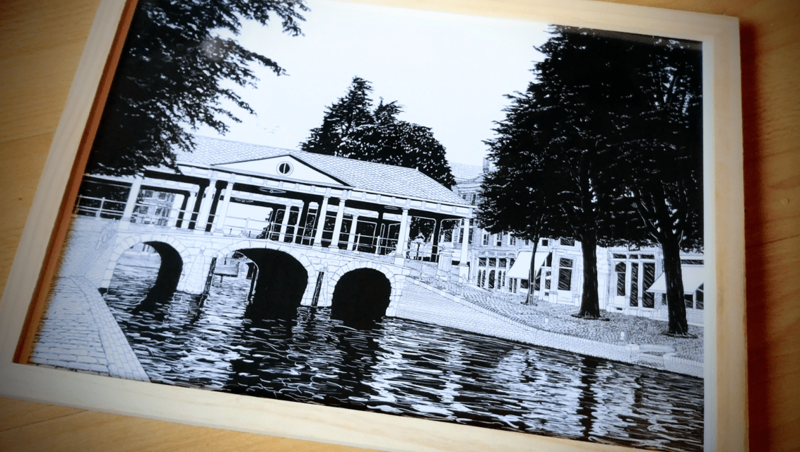 In the run up to the festivities, I finished my drawing of the Koornbrug, one of the most iconic landmarks Leiden can count among its monuments. The bridge was built in 1642 and gets its name from the fact that the bridge was often populated by grain salesmen (Koren means grain). The picture this drawing is based on was taken around 1900 and was retrieved from Erfgoed Leiden en omstreken, our local historical archive. It was then roughly traced in Adobe Illustrator using my old Wacom Bamboo and further filled in by hand. Now here’s the thing. You can order a print from me, which I will have printed professionally and, depending on your locale, deliver in person (or via mail). 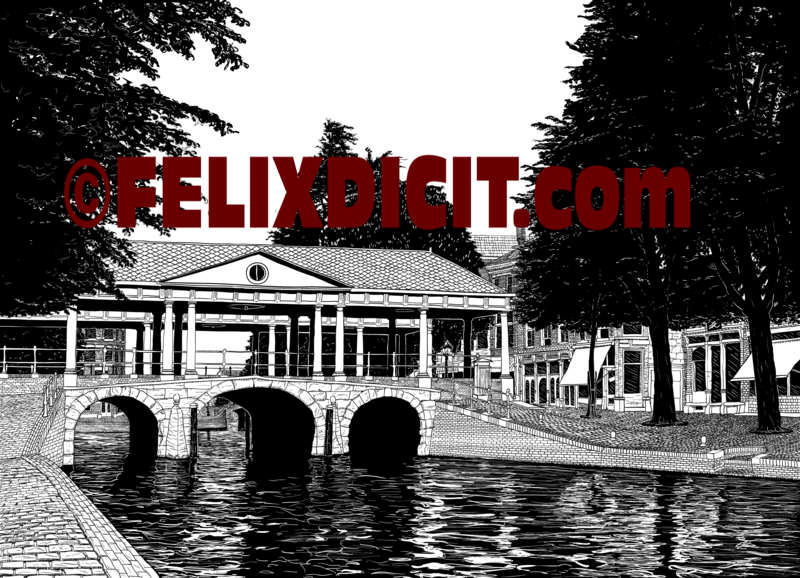 You can order a print by emailing me at contact@felixdicit.com.